Vinyl Die Hards refers to diehard vinyl fans who are truly indulged in vinyl records although we live a digital life and analog system seems to be so outdated. We are here to provide vinyl records with fair price for all vinyl diehards, as we believe that vinyl records is the best physical form of music. We are the store for Analog lovers. Vinyl Die Hards is filled with all genres of vinyl and vacuum tubes for all vinyl die-hards to dig. From old rare records to the newest reissue, your hunt for records begins here! 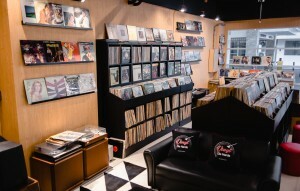 If you prefer to do your digging in air-conditioned surrounds with some aromatic coffee, Vinyl Die Hards is the place for you! 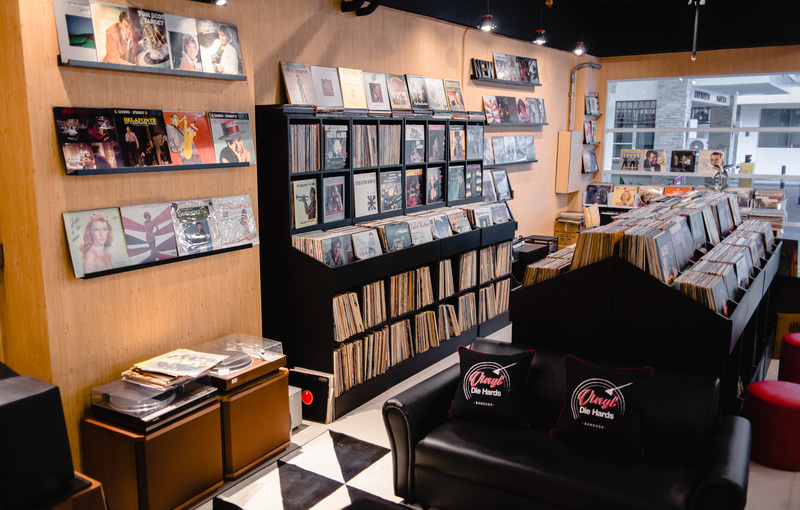 Analog lovers will find the store cosy and comfortable to sit all day digging the records on your list and ones that you will be surprised by them. We offer both used and brand new sealed records. The price is more than affordable, start from 100 Baht (approx. +USD3) up to the higher, yet justify prices. 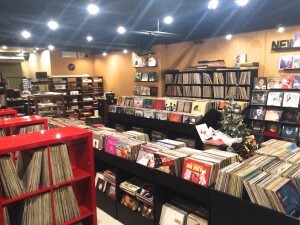 With our affordable prices, variety of records, and friendly small community here; our customers will surely have a great experience with the music of their own choice. Located at 1F The Ninth Place Serviced Residence. Opposite to Paradise Park. Srinakarin Road. Open Daily 10.00a.m. – 8p.m.